Polyguard is proud to announce that we have added a new employee-owner. Larry Prewitt has accepted the position as our Production Manager and will be joining the Polyguard family in the Corsicana location. Larry has the experience, passion and personality to help us get to our 100 million dollar goal and beyond. Larry is coming to us from Polyglass USA in Waco where he was the Plant Manager leading and overseeing startup operations. Prior to that he worked for TAMKO in a variety of roles including Facility Manager, Process Engineer, and Safety Manager. Larry is a graduate of Texas A&M, a veteran of the US Navy, has a Masters in Science in Engineering Systems Management, and is Six Sigma Black belt Certified. 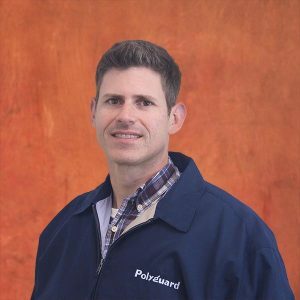 We look forward to Larry and his family joining Polyguard team. When you see him please be sure to welcome him aboard.